Cleavers Lyng is a unique grade II listed luxury country house of considerable charm and character dating back to 1577. 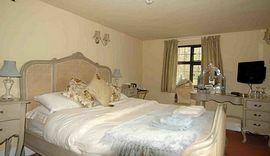 A 4 star recommended AA property, privately owned and operated. 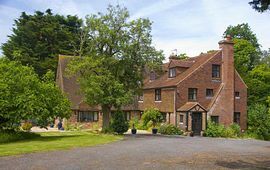 The house is situated in a quiet country lane, a five minute walk to Herstmonceux Castle or two miles from Herstmonceux Village. We benefit from panoramic uninterrupted views over the Pevensey flats towards the South Downs. We are an ideal location for the Sussex Weald, 1066 country and the South Downs and many local beaches. The house sits in one and half acres of landscaped gardens that is ablaze with colour during spring and summer and benefits from a large private parking area. Our quality rooms are double-bedded, individually furnished and fully en-suite with 22" flat panel TV with integrated DVD/CD player. Along with radio alarm and hospitality trays, iron and ironing boards, free WIFI. 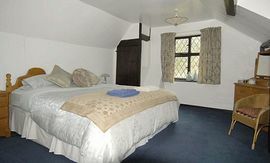 One room with balcony, which has super-king bed or converts to a twin. The entire house is strictly non-smoking. A modern smoke and heat detection system is fitted throughout. The village has a bistro, two pubs and two restaurants. One Indian and one French. Our location is equidistant between Eastbourne and Bexhill approximately 20 minutess, Brighton 40 minutes, Glyndbourne Opera House 30 minutes and London Gatwick Airport 50 minutes. 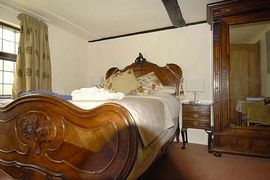 Cleavers Lyng can be fround 1.5 miles from the village of Herstmonceux which is on the A271 heading towards Bexhill. From the village take the first turning on the right signposted Chapel Row leading to Church Lane. We are 1.5 miles down this country lane on the right hand side, just passed Milland Farm.